It is critical to avoid dividing the bladder pedicle on the ipsilateral side of the flap because the vascularity of the flap will depend on that pedicle. The bladder flap should be outlined on the anterior surface of the filled bladder before incision into the bladder lumen is started to avoid disorientation after the bladder is emptied. This also allows proper judgment of stretched length of the flap. 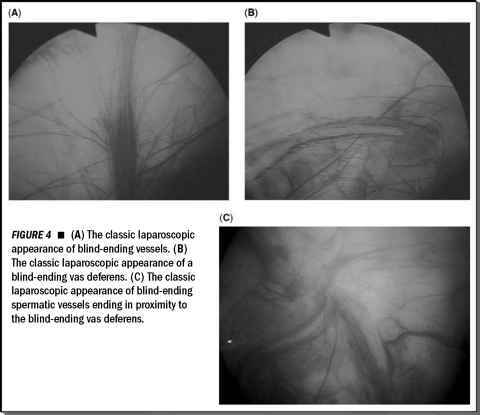 using open surgical technique, laparoscopic Boari flap reimplantation has been performed only transperitoneally so far. The principles of the procedure described in the following section apply to the laparoscopic procedure as much as they do the open surgical procedure. The procedure starts with identification and mobilization of the ureter preserving the periureteral blood supply. The site of obstruction is confirmed, and a final assessment of the length of ureteric defect is made. The ureter is spatulated and carefully inspected to ensure healthy appearance at the site of transection. Adequate mobilization of the urinary bladder is then performed. This is easiest done with the bladder partially filled to help identify the proper tissue planes. Mobilization should be as complete as possible to allow complete mobility in cases requiring longer flaps. This can complicate cases where a full distal ureterectomy is needed as in lower ureteric tumors. In cases requiring a long flap the contralateral bladder pedicle can be divided, allowing added bladder mobility to the side of the flap. The flap is oriented obliquely based on the superior vesical artery on the ipsilat-eral side, with the base of the flap being wider than the tip to ensure good vascularity. In cases requiring very long flaps, a spiral flap encompassing most of the anterior bladder wall can be fashioned. The ureter can be anastomosed to the flap in a direct or in an antirefluxing manner depending on the clinical circumstance, and the flap is rolled upon itself to form a tube of bladder, and the suture line is usually continued over the anterior wall of the bladder, closing the cystotomy. Added security can be obtained by suturing the adventitia of the ureter to the distal flap, and suturing the back of the flap to the psoas fascia.